Sally Crosland is a personal fitness trainer and life coach, specialising in outdoor fitness sessions and has written this guest blogpost to show you can lose those extra Christmas pounds without having to sign up to expensive gym memberships. When you’re watching your spending, the last thing on your mind can be fitness. An expensive gym membership seems out of the question, and with all the equipment and clothing you have to buy, there’s no way to get fit on a budget, right? Actually you can, and I can tell you how! Getting in the right frame of mind is the most important thing when you’re wanting to get fit without shelling out loads of cash. Keeping your exercise regime pure, simple and focused is the ultimate way to get fit and it’s a great way to motivate yourself. Fitness is purely about you and your body, not about any flashy add-ons. Making this realisation is the start of a fantastic, pared-down, effective fitness regime. Sure, you can pay upwards of £60 a month to join a state-of-the-art gym. Sure, you can have spare rooms and garages full of treadmills, benches, cable jungles and racks of dumbbells. You can spend hundreds of pounds kitting yourself out in designer sportswear. But not one bit of that is necessary! You can build a toned physique using absolutely no equipment at all, and the initial spend is absolutely nothing. Not one penny! There are lots of places and opportunities to get fit, whether at work, at home, on your way home, at your desk, on your lunch break. Read on and I’ll show you how! Running is a fantastic way to exercise; it builds stamina, keeps your cardiovascular system healthy, burns fat, tones up your legs, bum and stomach, and clears your mind. No special kit is needed apart from a pair of trainers and some jogging bottoms (or shorts if you’re feeling brave!). If you prefer cycling, adverts in your local newspaper are a great place to find second hand bikes that are more than suitable for off-road riding. As for where to ride, look for local maps with bridleways marked on them as you’re allowed to cycle on these (although you must give way to horses). 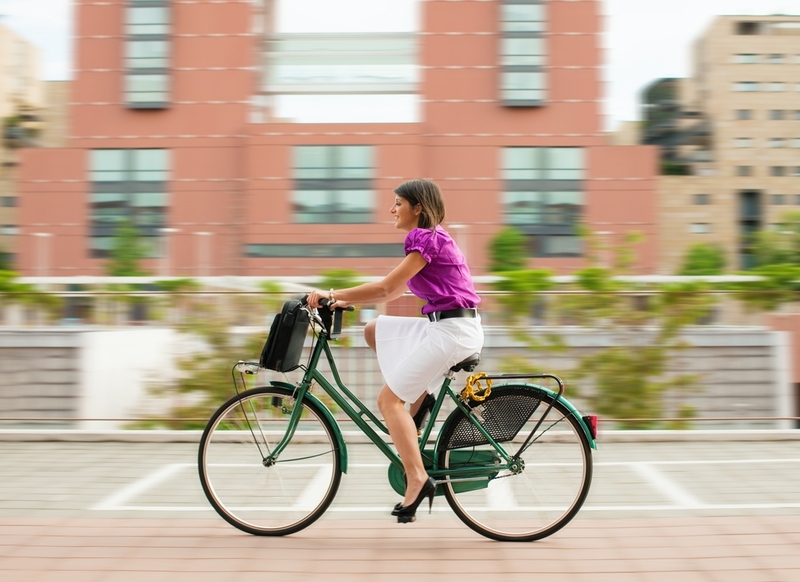 Running and cycling can save money on travel costs too. Many employers will provide somewhere safe to store your cycle, and larger businesses commonly provide showering facilities too. They may also take part in the government’s Cycle Scheme. A blast of fresh air in the morning is way more enjoyable than sitting in a traffic jam! “But I want to get buff!” I hear you cry. “How can I build up muscle size without spending loads on protein powders and weights?” Try your local park. A park bench is all you need for some seriously effective bodyweight exercises. You can use the bench for modified bodyweight push ups: place your hands on the bench, and, keeping your body straight, lean your weight into the bench. Push up with your arms whilst keeping your abs tight and spine aligned. You can change your hand position to work different muscle groups. Check out the internet for masses of great outdoor exercises, it’s a gold mine! It can be great fun to get a group of friends for a ‘park fitness’ session; it’s free, motivational, and a great laugh too! So instead of inviting everyone over and pigging out on a takeaway you could all meet up in a local beauty spot and enjoy each other’s company while getting yourselves fit. Fitness equipment doesn’t have to expensive either. You can pick up dumbbell sets in many charity shops for just a few pounds, and supermarkets frequently have offers on items like skipping ropes, mats and weights. eBay is also a good place to pick up a bargain on unused equipment, and Freecycle usually has good opportunities to grab sports kit for free. Don’t buy equipment if you don’t need it though. There’s no point in spending if your weights are going to sit in your spare room. So remember, enjoying a healthy life doesn’t have to cost the earth. People have been in great shape for thousands of years just by keeping active in their daily lives. Fitness, whether training for endurance or strength, is not unattainable on a budget. It should be fun, fantastic, and most of all, free!